Dr. Paul Branson’s beliefs and spiritual convictions collide with ancient African traditions and superstitions in this thriller/adventure. 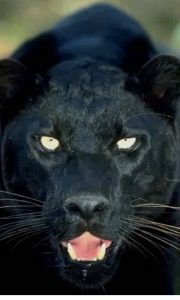 One of the deepest spiritual beliefs in the villages of Sudan centers on the deadly black panther of Africa. According to tradition, when this man-eater enters a village it’s for one purpose—finding food. The superstition is steeped in spiritual beliefs that if a black panther, known as the ghost of Africa, stalks a villager but doesn’t kill them, it has spared them for a purpose—a deep, spiritual purpose. For everyone else, that individual has been “chosen” for a calling from the spirits, or from God, when the panther stalks them as prey but spares them. Before Branson finds himself the prisoner of a violent terrorist organization, the LRA, his encounter with the panther is one of the most dramatic the villagers have ever seen. Paul took a shallow breath. The panther’s icy stare bored into him. He couldn’t look away. At any moment this sleek black cat could be on top of him, tearing the flesh from his bones. The panther gave a deep, guttural growl. Buru stepped from his hut holding his spear high. He moved to the edge of the clearing, stopped, then lowered his weapon. The panther grunted and took two steps closer to Paul. To them, he had become “Abdu,” chosen man of faith—deliverer of the people. As he fights to survive and escape his horrible fate to save others, the spiritual battle haunts him. In order to make sense of it all, the impossible must take place. Order The Ghost of Africa on Amazon today.